Frances Steloff’s famous Manhattan bookshop is the subject of an exhibition at Penn Libraries By Rebecca Rego Barry Rebecca Rego Barry is the editor of this magazine and the author of Rare Books Uncovered: True Stories of Fantastic Finds in Unlikely Places. On New Year’s Day in 1920, a horse-drawn wagon carrying a typewriter and 175 books pulled up outside of a basement on West 45th Street in Manhattan. Frances Steloff, a thirty-two-year old who had honed her book-hunting skills from the eminent antiquarian Charles P. Everitt and as a clerk at Brentano’s, was setting up as an independent bookseller. Gotham Book & Art (later Gotham Book Mart), a bookshop that became known as a bastion of the avant-garde, was her life’s work—and a long life at that. Although she sold the shop to Andreas Brown in 1967, she resided in the same building and remained connected to its everyday activities until her death at age 101. 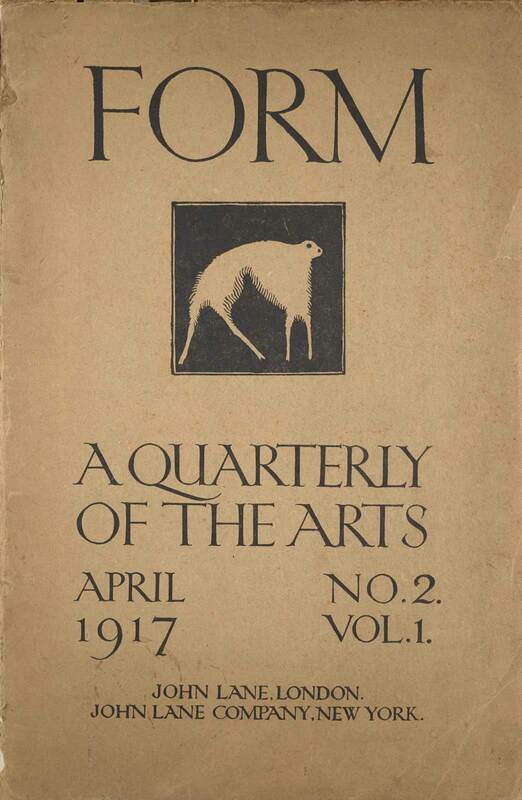 We Moderns: Gotham Book Mart, 1920-1940, the now famous catalogue published by Frances Steloff to celebrate her twentieth anniversary, included works by T. S. Eliot, James Joyce, and Ernest Hemingway. Courtesy of Penn Libraries. 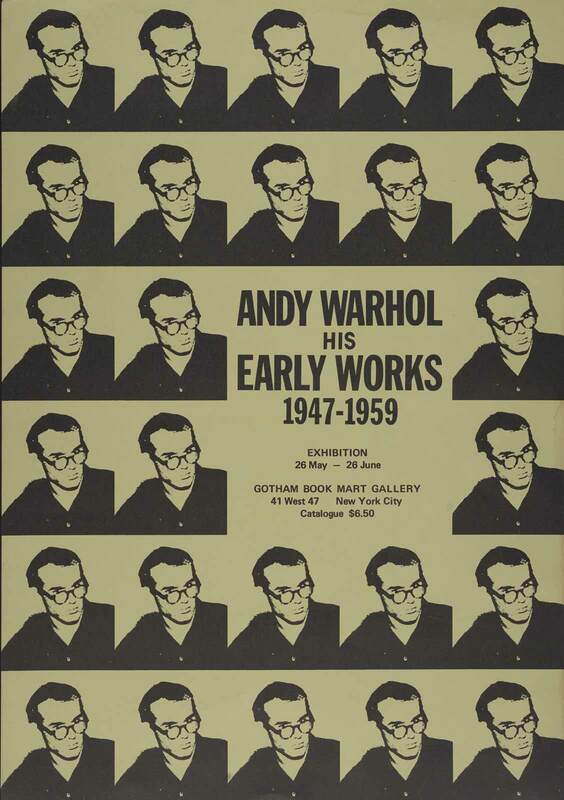 An exhibition broadside for Andy Warhol His Early Works 1947-1959, held at the Gotham Book Mart Gallery in 1971. Courtesy of Penn Libraries. 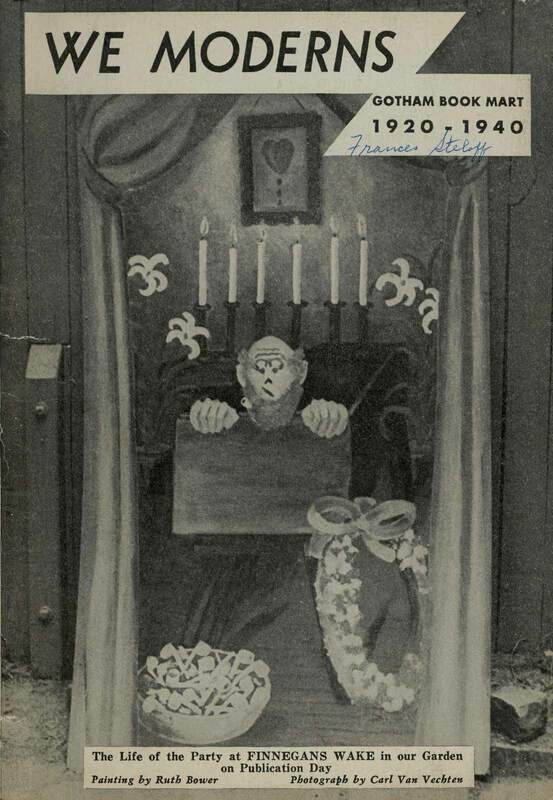 One example of the ‘little magazines’ that came to Penn Libraries as part of the Gotham Book Mart Collection. Courtesy of Penn Libraries. “Frances Steloff made the Gotham Book Mart. Then it turned around and made her. You couldn’t have one without the other,” wrote her biographer, W. G. Rogers, in 1965. 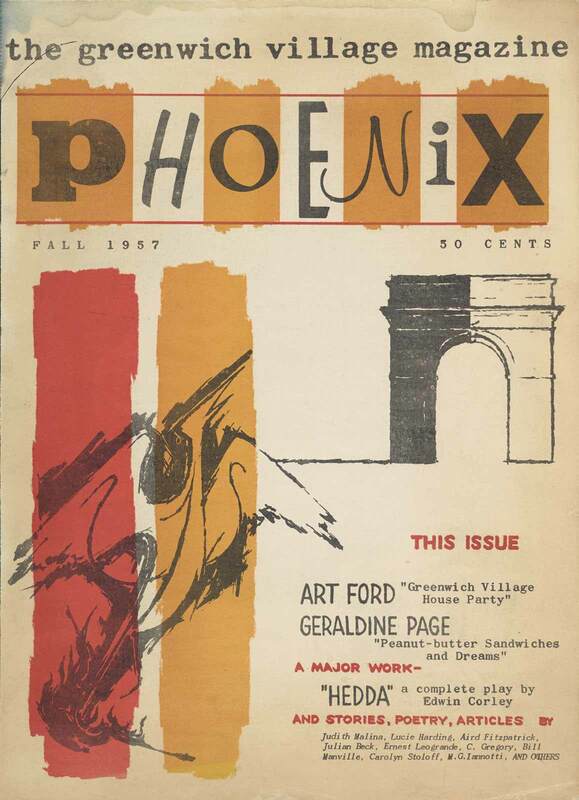 Her legacy, and that of the Gotham Book Mart, is the subject of a much anticipated exhibition this spring at the University of Pennsylvania’s Van Pelt-Dietrich Library in Philadelphia. It is titled Wise Men Fished Here, a play on the shop’s famous wrought iron sign made by John Held, Jr. depicting three fishermen and the motto, “Wise Men Fish Here.” The exhibit presents the 87-year history of the Gotham, and in doing so, can and does go in many thematic directions: twentieth-century bookselling, women booksellers, the rise of modernism, ‘little magazines,’ and postcard collecting. Not to mention the role of specific authors and artists integral to Gotham’s story, such as Tennessee Williams, James Joyce, and Edward Gorey. Wise Men Fished Here is the culmination of ten years of sorting and cataloguing, said David McKnight, director of the rare book and manuscript library at Penn. The university acquired the Gotham Book Mart collection in 2008, a year after the store had closed for good, having endured financial difficulties and one final, unfavorable move to East 46th Street. According to McKnight, the collection was stored on 181 pallets, and included roughly 200,000 books and two hundred linear feet of archival materials. All of which was stored in a Connecticut warehouse while the donors awaited proposals from a few handpicked institutions—which may have included the other three institutions where Gotham Book Mart material has ended up over the years: the Harry Ransom Center at the University of Texas, the New York Public Library, and Skidmore College. “At the Kislak Center, we focus on teaching and use, and we place great importance on the research value of a collection. So this was a ‘duh moment,’ right? Here we have perhaps one of the greatest bookstores in the United States, over the long haul, and burrowing into the contents would mean there would be an enormous amount of great research to be done,” said McKnight. McKnight excitedly recalled another important discovery in the form of Steloff’s 1949 diary. It only tracks six months of her life, from July to December, but provides insight into her life as a bookseller, as well as her political and spiritual beliefs. McKnight believes the journal was Steloff’s attempt at preparing a memoir, which never materialized. They also unearthed a small suitcase stuffed with Andy Warhol’s glamour shots of Hollywood stars. “A lot of blondes! Like Marilyn [Monroe] and Jean Harlow,” said McKnight. In the early seventies, Gotham hosted an exhibition and sale of these photographs. Now they’ll be on display again. After several years of slow excavation, Penn hired some extra hands, and they began to make a bigger dent in processing the massive collection. That allowed McKnight to more seriously consider the exhibition that is now underway through May 20. Rebecca Rego Barry is the editor of this magazine and the author of Rare Books Uncovered: True Stories of Fantastic Finds in Unlikely Places.